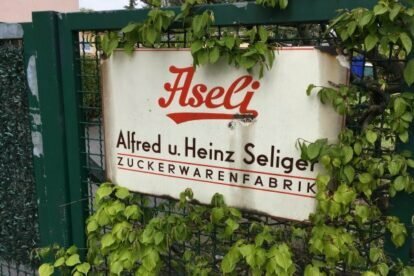 Aseli is a family-run business founded in 1921 that manufactures marshmallow animals in all shapes and forms. You might have seen white marshmallow mice before- this is where they were invented. Cooking, painting on the eyes and packaging is all done by hand in the small production facility. Supermarkets around Berlin sometimes stock small packets of Aseli marshmallows, however the selection is usually pretty narrow. Not so in the factory outlet: in the small shop next to the production line you can buy all marshmallow animals currently in production in small packets or, for people with a sweet tooth like me, by the bucket. Check out their online shop if you don’t believe me! The factory outlet is in the far north of Berlin in a quiet area, so you will probably have to plan to go there specifically. It is only a short walk away from S-Bahn station Schönholz, though, which in turn is only a 23-minute journey away from the main station.